I love lazy weekends, waking up late, trying to stay underneath the warm blanket just a tad longer, and not hurrying anywhere. Even Betsy, our maltipoo, feels the same. Work has been hectic for both Vu and I. We sat on our balcony, enjoying the warmth of the glorious San Diego sun. Sorry East Coast peeps! 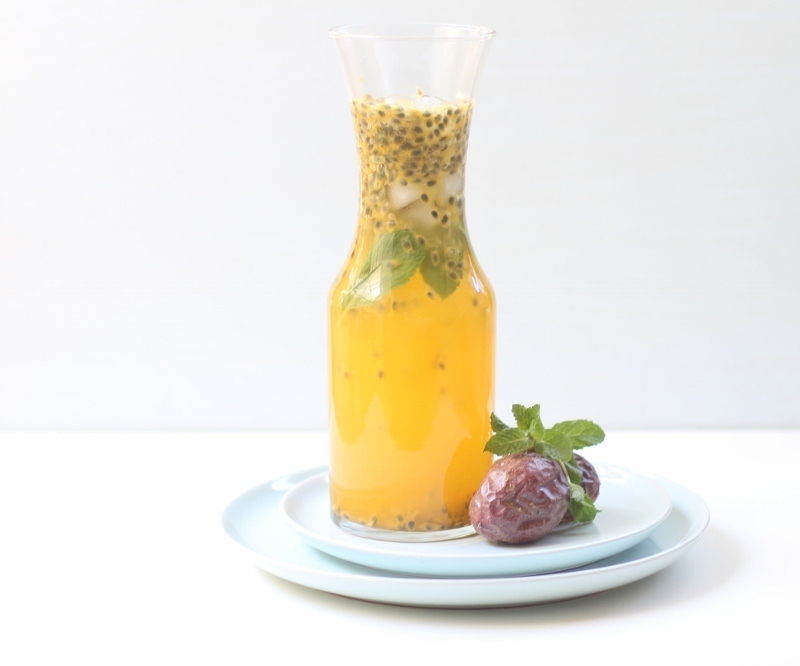 The heat was making our throat a bit parched so I made a spiked version of the passion fruit drink we had in Vietnam. So simple yet refreshing! Vu and I enjoyed our drink while reminiscing about our Vietnam trip back in 2009, wondering when we will see the motherland again. A trip shorter than three or four weeks would not be worthwhile but we cannot afford a vacation that long. There are many regions of Vietnam that we have yet to explored. Oh well! Until then, we have plenty of memories, pictures, and passion fruit drink. 1. Combine the club soda, sugar, and passion fruit together. Stir until the sugar is dissolved. 2. Stir in the vodka. Add ice. 3. Garnish with mint before serving.